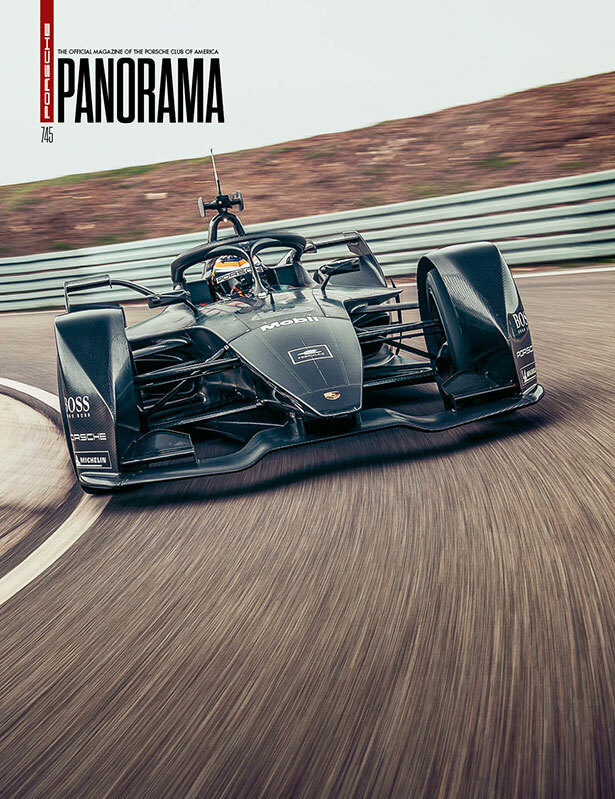 All that, plus preparing your Porsche for sale, Porsche’s Formula E entry, and more. The quest to drive 200 mph on the autobahn in a CTR4 prototype. A used Paint to Sample 997.2 was the perfect base on which to create a personalized Porsche. 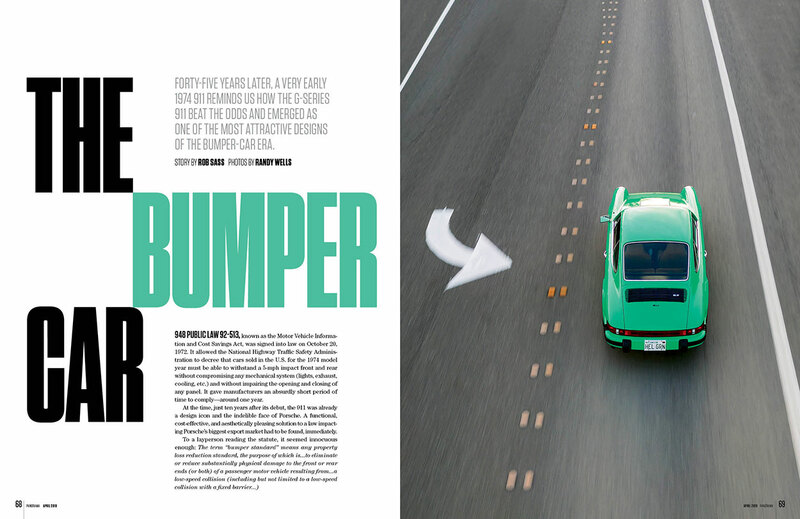 How Porsche beat the odds to make its 911 one of the most attractive designs of the bumper-car era. 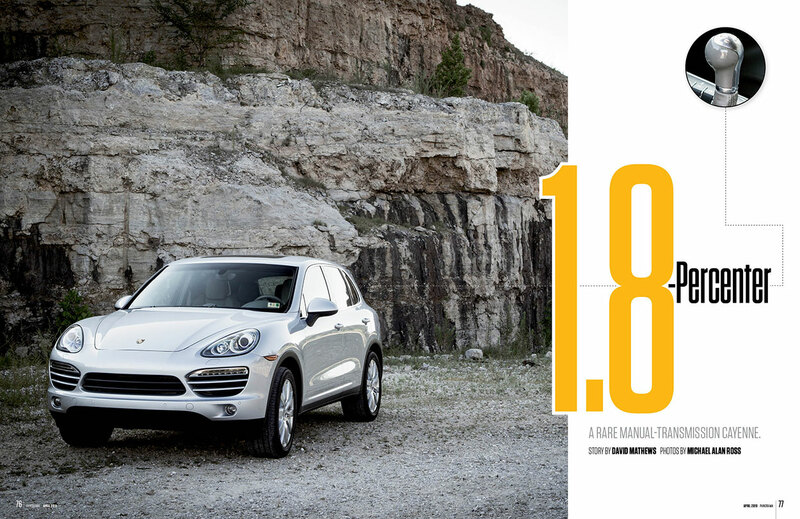 An SUV for those who prefer driving gloves over cell phones. 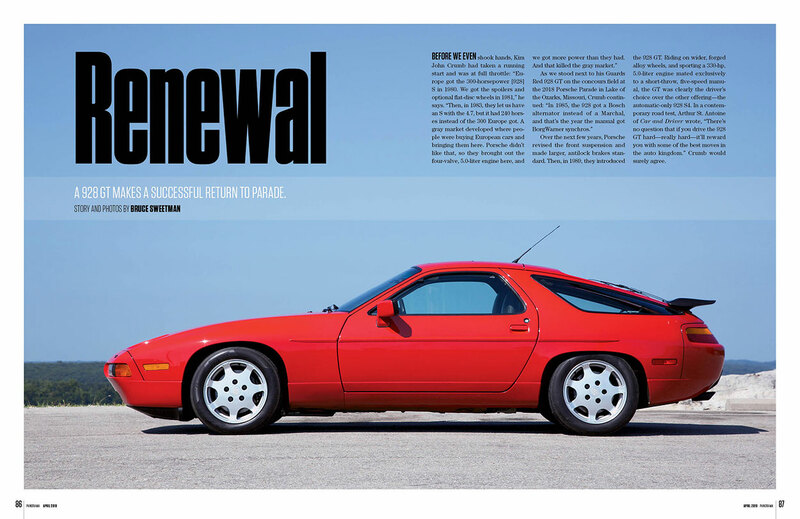 Kim Crumb's 928 GT makes a successful return to Parade.